Pinnacle Performance Training strives to empower athletes by giving them the tools necessary to achieve their goals. We do this by providing training structure that is backed by science, fostered from experience. I believe that in order to preform at your best, you must love what you do. I believe in both working hard and working smart. I understand the value of a life with balance and attempt to create a training platform that will honor an athlete’s commitments outside of their sport. My name is Erin Johnson owner and founder of Pinnacle Performance Training. 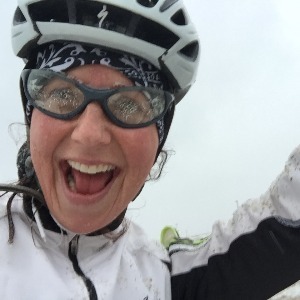 I am a certified Endurance Coach living in Louisville, Colorado. Currently I specialize in coaching Ultra Distance Mountain Bike Racers and Ultra Runners. Or as I like to call it, Beyond the Marathon! As a former professional level Mountain Bike Racer, I have completed more than a dozen 100-mile races landing on the podium five times. I am an endurance lover! Before finding my love for epic days on the bike I spent most of my time adventure racing and traversing mountains on foot. In 2009 I had to take some time off and was subsequently plagued by injuries and illness. Seven years and nine surgeries later, I quit my job and retired from racing. If I wasn’t going to be able to compete myself, I was going to do whatever it took to share my knowledge and help other athletes achieve their goals. During my time recovering from injury, I had to go from the hospital to six-hour training rides on several occasions. I understand what it feels like to be down and have to build yourself back up again and again…not just your body, but your mind as well. As a working Mom I understand the demands of family and life on an athlete. Expect me to specialize in maximizing your time while getting you the most “bang for the buck”. I am passionate about training; racing and helping athletes reach their goals whether you strive for the podium or just to finish in “good style”. Success. Coach Erin Johnson has been notified of your message.